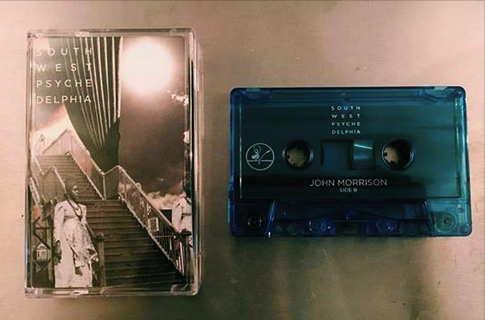 John Morrison‘s debut album, Southwest Psychedelphia is available now from deadverse direct and all digital outlets. Recorded over the course of a year, Southwest Psychedelphia is an audio “Day in the Life” journey through Morrison’s Southwest Philadelphia neighborhood. The self­ produced project fluctuates between rugged Hip Hop beats and gorgeous, psychedelic textures. The sound is cosmic and spacey, but still grounded with rugged Hip Hop rhythms. “I wanted to make pieces of music that were cinematic, capturing the energy and feeling of my neighborhood. The album is basically a day in the life story but it’s also the story of my life over the past year. Going to work, making Music, going to the store, digging up weird old records etc.” Morrison says. ORDER YOUR LIMITED EDITION CASSETTE (INCLUDES FREE DOWNLOAD) TODAY! 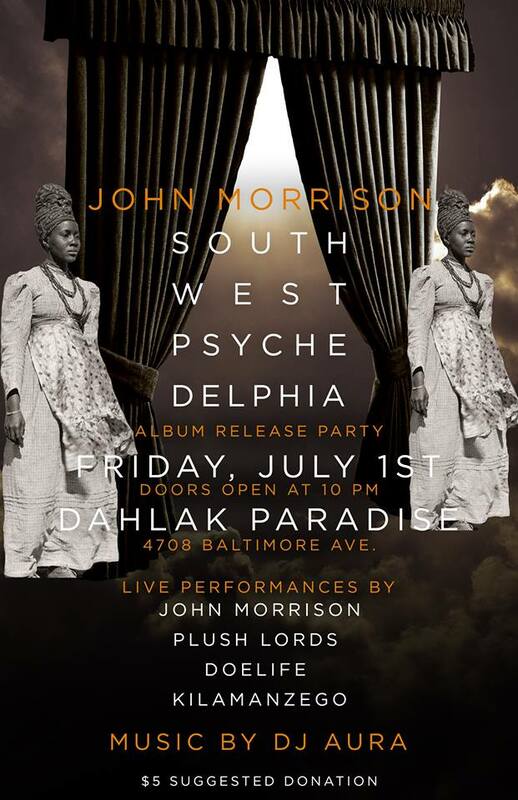 On Friday, July 1st We’ll be celebrating the release of John Morrison‘s debut album: Southwest Psychedelphia! We’re throwing a party at Dahlak Paradise in West Philly complete with performances from some dope Hip Hop acts and the magnificent DJ Aura on the wheels of steel holding it down all night. Come through and celebrate with the newest member of the deadverse family for a night of dope Beats, good food, drinks and chill vibes!! !